Currently available for three vehicle models, our latest generation of SportLid – the SportLid for Tango – is rapidly gaining worldwide recognition as the most innovative hard tonneau cover to date. The SportLid for Tango is a huge point of difference in the tonneau market and has presented new possibilities for people who want a lid with stacks of practical features, while maintaining the sleek look and feel of a lid fitted on the factory floor. Not satisfied with what was already available on the tonneau cover market, PRO-FORM’s R&D team tore up the rule book and re-wrote it from scratch, resulting in the SportLid for Tango. Innovation really is embedded into every element of the cover, starting with the rail mounting platform, Tango. Previously, tonneau covers had boring steel mounting platforms which served no purpose other than to hold the tonneau to the vehicle. We saw this as an opportunity to create a sleek, aluminium rail platform that runs around every side of the pickup bed with accessory channels on the top and inside edge to allow a range of accessories to be mounted to any point you choose. 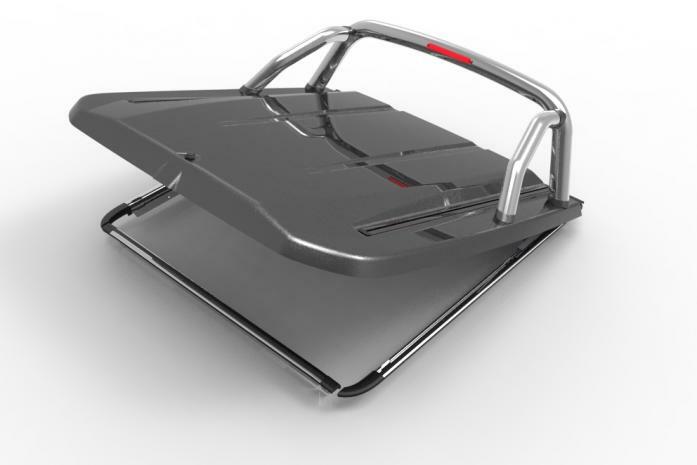 Pickup truck owners are loving this feature and enjoy being able to add the LoadMaster bed divider and tie hooks to the inside of the bed to better manage their cargo. One of the most innovative aspects of the SportLid for Tango is the hybrid construction from aluminium and ABS Plastic. By using aluminium for the SportLid chassis, we were able to create a super strong base, presenting us with the opportunity to mount racks and SportBars directly to the lid – this was previously impossible with existing plastic or fiberglass lids. The secret to the accessory tracks that run across the top of every SportLid for Tango is the aluminium chassis. 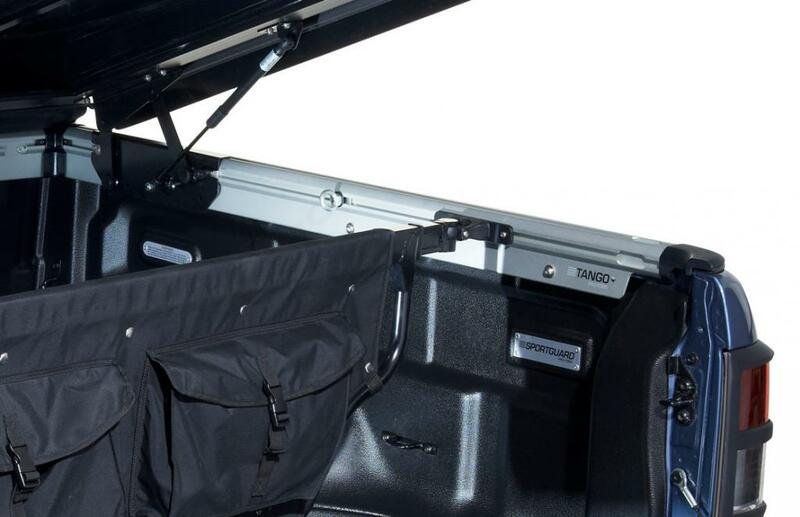 These accessory tracks are mounted to the SportLids strong chassis meaning SportLid owners can now mount bikes, skis, cargo bags and other accessories directly to the top. Our premium version of SportLid for Tango includes an electronic component that plugs into the vehicles main loom. This plug allows the SportLid to be integrated with the vehicles central locking system, as well as power the automatic LED interior light and the electronic touch pad opening switch. The extra convenience of central locking is significant and again makes the SportLid feel as though it was fitted on the factory floor. The true innovation and uniqueness of SportLid for Tango has seen it being featured in two iconic special editions. The first wasToyota NZ fitting it to its special edition TRD Hilux, and the second being the large fitout of SportLid for Tango to HSV’s special Holden Colorado, the SportsCat. The HSV SportsCat is an impressive special edition ute with only the most premium accessories fitted. We think SportLid for Tango is a very appropriate addition to this vehicle. PRO-FORM SportLid for Tango is currently available for Toyota Hilux Revo, Nissan Navara NP300 and the Ford Ranger T6. Check out the Sportlid product page here for more info. Previous Post Previous Article. Tango – What is it exactly?